“Located at the foothills of the Adirondack Mountains in Warren County on the shores of Lake George, Queensbury was once a popular hunting and fishing area for the Iroquois. Today, Queensbury continues to offer a tremendous amount of recreation opportunities for people of all ages. Queensbury’s spectacular scenery draws thousands of tourists each year! The Town is noted for its amusement parks, golf courses, downhill and cross-country ski trails. The Warren County Bike Path runs from Lake George through Queensbury to Glens Falls and is a gem of the area. The many local lakes, like Glen Lake, offer easy access to water for swimming, canoeing and boating.” How could anyone resist? 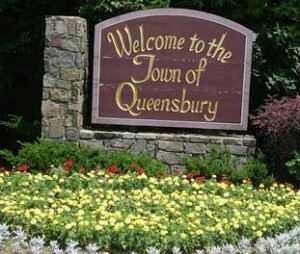 One of the many ways that Queensbury residents keep the town vibrant is by staying on top of their junk removal. You’re not going to find any abandoned sofas or mattresses cluttering up Queensbury. That’s because the locals know they can depend on Junk King Albany to handle all their bulky junk removal chores. This entry was posted in Queensbury Junk Removal and tagged Junk King, junk removal, Professional Junk Removal, Queensbury Junk Removal on February 28, 2014 by Todd Porter. Last updated August 1, 2017 . This Valentine’s Day in Albany might be a truly memorable one simply because you’ll be snowed in. That doesn’t mean you can make the most of your special day/night. Perhaps you can throw a picnic for your significant other. All that takes is a blanket in the living room, some tasty snacks, dim lights, a few candles and voila! You’ve got a perfect date night. If you happen to have a working fireplace or a fireplace DVD, even better. If there is a break in the weather, you could plan for a weekend get away at one of the many ski resorts around Albany. Although Valentine’s Day Weekend might be a little crowded, you can always print out a coupon good for one romantic getaway weekend. One some level, this can make Valentine’s Day last even longer! That coupon idea can also be for a lot of other wonderful Valentine’s Day ideas. Sure, a “one hour massage” or “one spa day” is a great gift but what about a “junk removal appointment with Junk King?” These are the junk removal specialists working in and around the Capitol District that are helping residents with all types of junk removal projects. 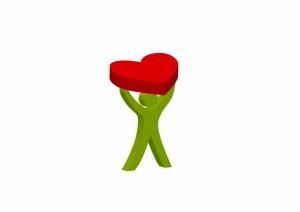 This entry was posted in Albany Junk Removal and tagged Albany Junk Removal, Junk King Albany, Junk King Capitol District, junk removal, Valentine's Day on February 13, 2014 by Todd Porter. Last updated August 1, 2017 .